Alongside the launch of the world’s fastest GPU, this Tuesday Nvidia also launched what it calls the world’s ”first mobile supercomputer”. The Jetson TK1 developer kit will now enable development of technologies such as seamless navigation of robots, ability of cars to avoid pedestrians and more importantly, the ability of doctors to perform mobile ultrasound scans. The launch of this platform opens countless doors in further development of machines that are less reliant on human operators. The developer kit includes a full C/C++ toolkit based on the NVIDIA CUDA parallel computing architecture, making it much easier to program upon than the existing platforms available in the market. Powered by the 192 core, Kepler based Tegra K1 super chip, the platform will be able to bridge the gap betwen mobile computing and super computing, NVIDIA claims. Designed specifically for CUDA, the platform will enable developers to quickly develop and deploy computer intensive systems. NVIDIA also claimed that the chip will be able to bring next generation PC gaming to mobile devices and match the graphics performance of gaming consoles. 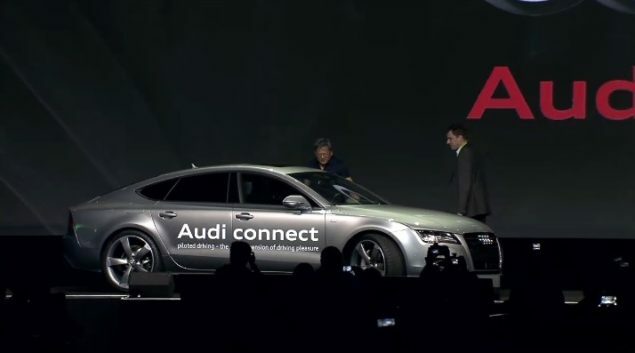 Audi also showcased it’s self driving car based on the Jetson TK1. The car is powered by the TK1 which uses real time video feed coming from multiple cameras. Jen Hsun Huang, CEO and co-founder NVIDIA, described a new software toolkit in the Jetson known as VisionWorks. “The Jetson TK1 also comes with this new SDK called Vision Works. Stacked onto CUDA, it comes with a whole bunch of primitives whether it’s recognising corners or detecting edges, or it could be classifying objects. Parameters are loaded into this Vision Works primitives system and all of a sudden it recognises objects,” Huang said. Long story short, VisionWorks provides a set of computer vision and image processing algorithms which enable it to create applications quickly. The developer kit also includes debuggers and profilers allowing creation of parallel applications. 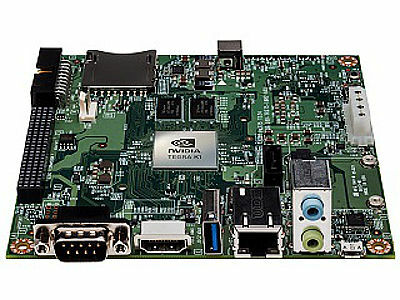 The Jetson TK1 includes 2 GB memory. Input and output connectors for USB 3.0 and a SD card slot. Video output for HDMI 1.4 and Gigabit Ethernet is also present. In addition to CUDA and VisionWorks, it also includes support for cameras and other peripheral tools. The price tag is $192.